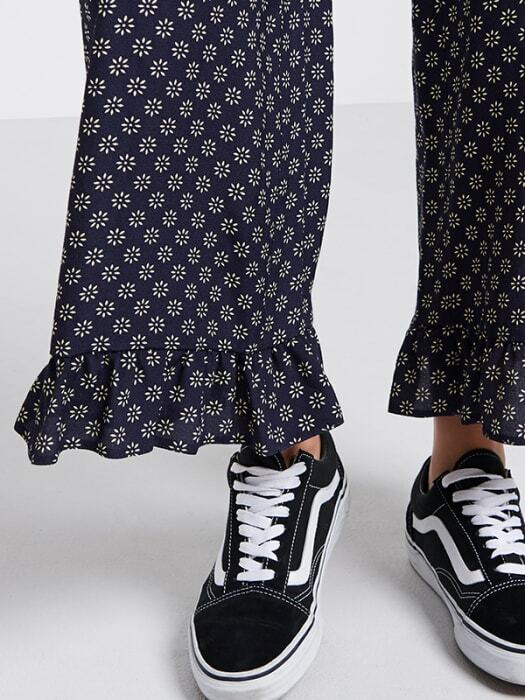 A must-own for new season, you better hope there’s room in the drawer for these navy Frill Hem Trousers. 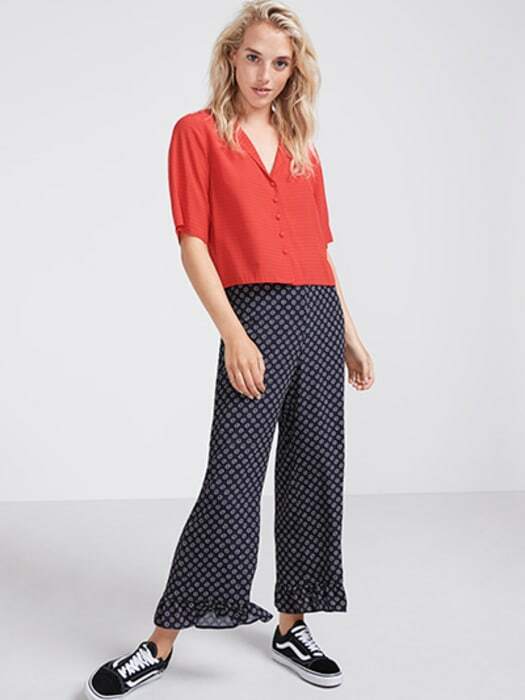 Sitting high on the waist for a flattering fit, the all-over daisy pattern’s guaranteed to get their attention. 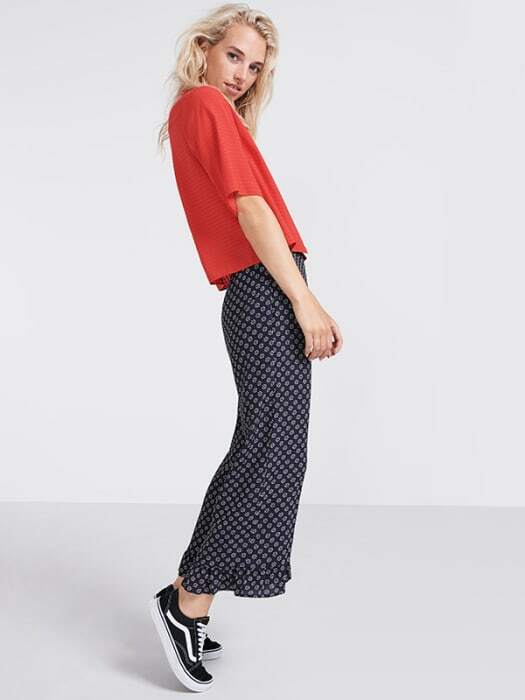 Co-ord with our matching tie front top for the ultimate head-to-heel statement.